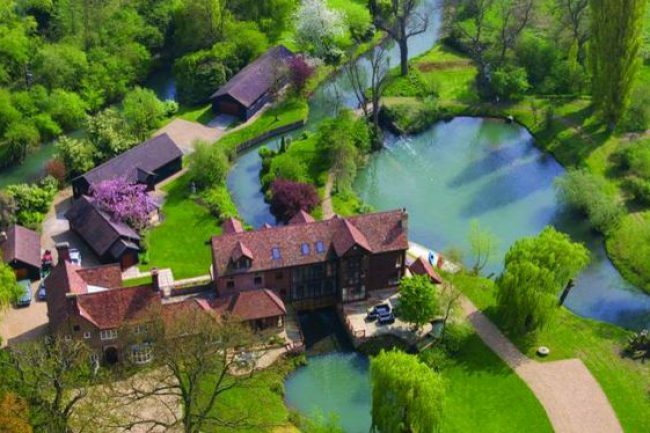 The mill sits on an island on the River Ivel near the picturesque village of Blunham and has been described as a modern day "Shangri-La"
A historic mill has been transformed into a serene nine-bedroom home complete with its own fishing lake and is on the market for £2.65m. It sits on an island on the River Ivel, in Bedfordshire, near the picturesque village of Blunham and has been described as a modern day "Shangri-La". 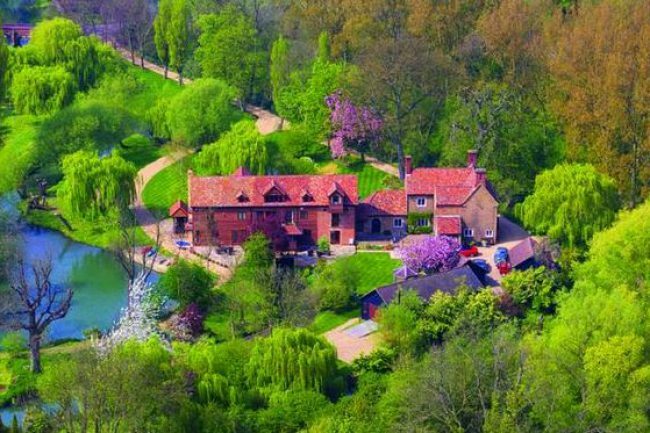 Whoever buys the house will get full fishing rights to the lake and river - which is said to have once hosted keen angler Prince Philip - and they are so close to the water they could cast out from inside the property. The lake and river is home to carp, trout and bream - but anyone lazing in the 6.5 acres of land will also be able to spot ducks, swans, geese and kingfishers. Nothing remains of the medieval building that was recorded near the site in the Domesday Book, but its later iterations were running right up until 1813. From 1538-1783 the mill was used for a variety of roles with the spinning wheel powering woollen clothes, iron, corn, and leather production. Records show it has been a residential home at least 1910 and now a 8,654sq ft luxury property just a 45 minute train journey from London. 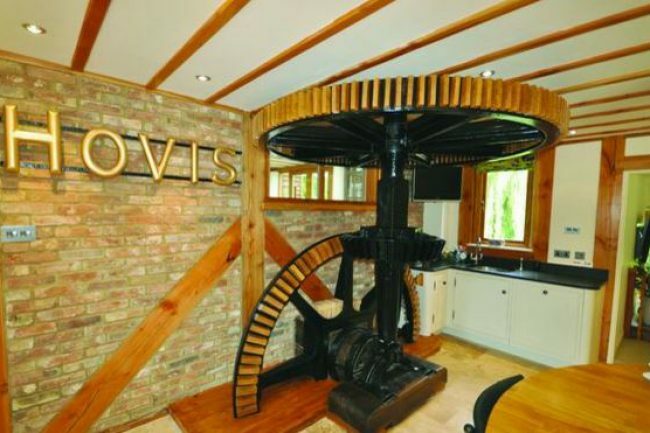 It is split into two with the main buildings connected by a reception room and comes with full private fishing rights - as well as an ornamental water wheel that sits just yards from the home. The Old Mill House dates from 1812 and is connected to the freshly-constructed New Mill - with both properties benefiting from extensive renovation. Inside the kitchen the now defunct mill machinery sits next to modern appliances and the property also boasts a fireplace that was originally designed for the Titanic. Jennifer Nyman, property administrator at current owners Clarenco, said: "Before we bought it was a really lovely family home and the guy who owned it described it as the ideal home for his family growing up." "We have used it as a holiday home but it could work really well as a B&B, it is just so peaceful," she continued. "So many people have called it Shangri-La, even though it is near the main roads you can't see them through the willow trees and it is surrounded by water - the views are amazing. "The water just works so well as part of the property, it runs through the building and wherever you are you can see running water. 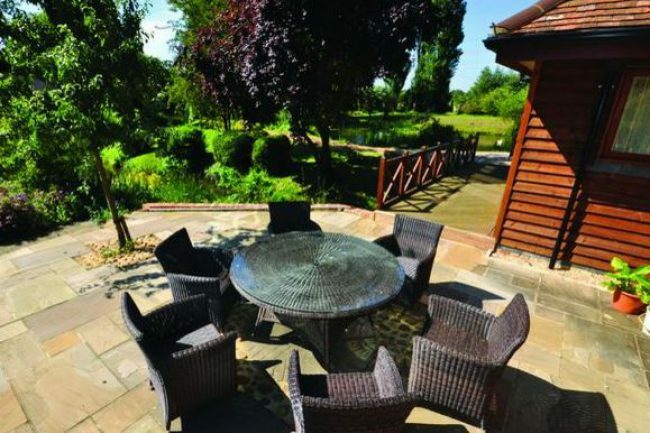 "The property is very secluded, some people have described it as a mini oasis of peace and calm, you feel like you are miles away from anywhere when you are there." It is being sold by estate agents Michael Graham.